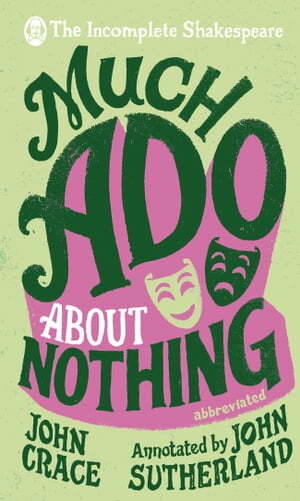 Collins Booksellers - Incomplete Shakespeare: Much Ado About Nothing by John Crace & John Sutherland, 9781473541900. Buy this book online. Benedick: I am man enough to say that I love thee. Is that not strange? Benedick: By my sword, Beatrice thou lovest me. To celebrate the 400th anniversary of Shakespeare's death, this is the third of a new collection of the Bard's greatest plays, digested to a few thousand words with invaluable side notes from John Sutherland. Funny and incredibly clever, these parodies are a joy for those who know their Shakespeare, perfect for the theatre goer needing a quick recap, and a massive relief for those just desperate to pass their English exam. This ebook has a large amount of footnotes and is best viewed on a device that supports pop-up text.